Warm island sun and the lazy days of summer call for a getaway like no other. The charm of the British Virgin Island lies in discovering each pristine island in this volcanic archipelago. With lively culture and history on the four main islands topped only by the idyllic splendor of the 50+ smaller isles. Discover your “sit-back-and-relax” mode on Tortola; be mesmerized by Virgin Gorda’s natural granite pillars or marvel at the rugged scenery and colorful folklore of Jost Van Dyke. Discover why the “Christmas Winds” make December in the British Virgin Islands a sailing mecca! 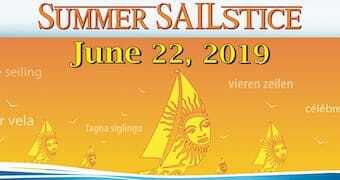 There is no better opportunity than our annual flotilla to expand your sailing skills, navigate to idyllic shores, and of course, experience the epitome of vacation perfection. The charm of the BVI’s lies in discovering the unique character of each pristine island in this volcanic archipelago.